38 mm 18K rose gold case, sapphire-crystal back, silvery opaline dial with gold applied hour markers, caliber 215 PS manually wound movement with seconds subdial, matt dark brown alligator strap with square scales, prong buckle. Water resistant to 30 m.
38mm 18K yellow gold case, hinged dust covered sapphire crystal back, silvery opaline dial with hand-guilloched center and applied gold hour markers, self winding caliber 324 S C movement with date and sweep seconds hand, approximately 45 hour of power reserve, leather strap. Water resistant to 30 meters. 38mm 18K white gold case, sapphire crystal back, 2-tone silvery-gray dial with blue transfer print, self-winding caliber 324 S C movement with center sweep second hand, approximately 45 hours of power reserve, leather strap. Water resistant to 30 meters. 38mm 18K white gold case, sapphire crystal back, opaline-white dial with applied hour markers, self-winding caliber 324 S C movement with center sweep second hand, approximately 45 hours of power reserve, leather strap. Water resistant to 30 meters. 38mm 18K rose gold case, sapphire crystal back, 2-tone silvery-gray dial with blue transfer print, self-winding caliber 324 S C movement with center sweep second hand, approximately 45 hours of power reserve, leather strap. Water resistant to 30 meters. 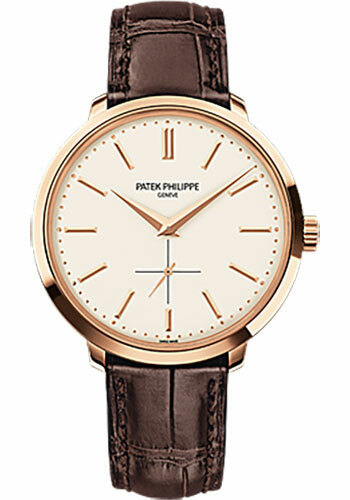 38mm 18K rose gold case, sapphire crystal back, opaline-white dial with applied hour markers, self-winding caliber 324 S C movement with center sweep second hand, approximately 45 hours of power reserve, leather strap. Water resistant to 30 meters. 38mm 18K white gold case set with 68 diamonds (~0.70 ct), sapphire crystal back, matt black dial with diamond hour markers, self winding caliber 324 S C movement with date and center sweep second hand, approximately 45 hour of power reserve, shiny black alligator strap with prong buckle. Water resistant to 30 meters. 38 mm platinum case, sapphire crystal back, bezel set with 38 baguette diamonds (~3.37 ct.), black lacquered dial with diamond hour markers, self-winding caliber 324 S C movement with date, center sweep seconds hand, approximately 35-45 hours of power reserve, hand-stitched shiny black alligator strap with with square scales, prong buckle set with 6 baguette diamonds (~0.30 ct.). Water resistant to 30 meters.